Floating in the water, building sandcastles at the beach, collecting rocks, catching minnows in a net, stocking up on candy, cooling down with an ice cold slushie on a hot summer day…. Everyone has fond childhood memories of summers at the lake. And now the owners of the new Sandcastle Shop in Falcon Lake are helping you keep those experiences alive and giving the current young generation the chance to make some great memories at the lake. 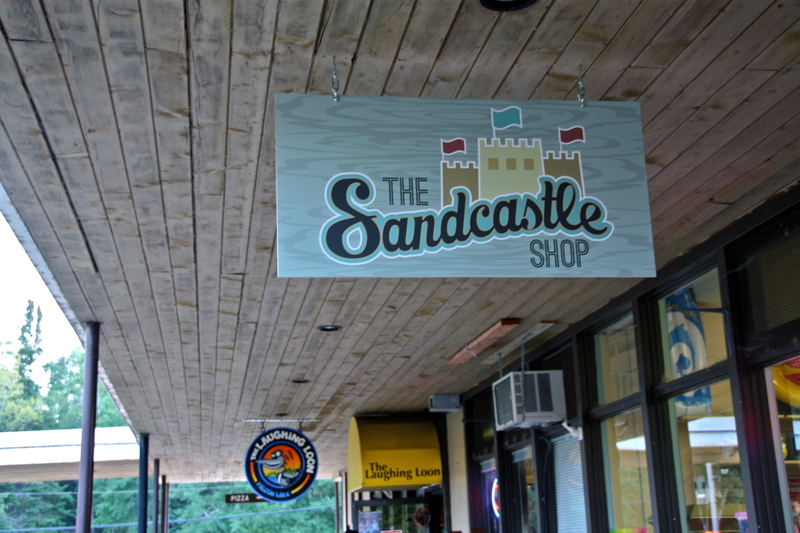 After extensive renovation and a buildup of excitement, The Sandcastle Shop opened officially this spring in the Falcon Lake Shopping Centre, next to its sibling-store, The Laughing Loon. Owners Lindsay Coulter and Corley Sweeting opened the shop hoping to give kids in the area a cool place where they can come hangout and find things that they can enjoy. Some traditions in the store continue, such as movie rentals, with a new and improved selection, but there is so much more in store when you visit the new shop. 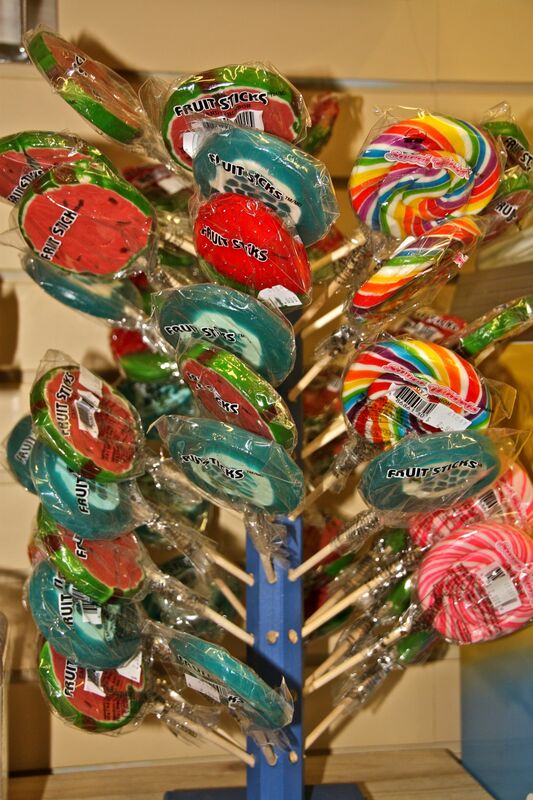 The Sandcastle Shop offers a wide variety of tasty treats, featuring a large assortment of fresh bulk candy that is a favourite for customers (come in and try to beat the “Summer’s Highest Candy Weigh-In!”), as well as an assortment of candy classics that kids and adults will know and love. 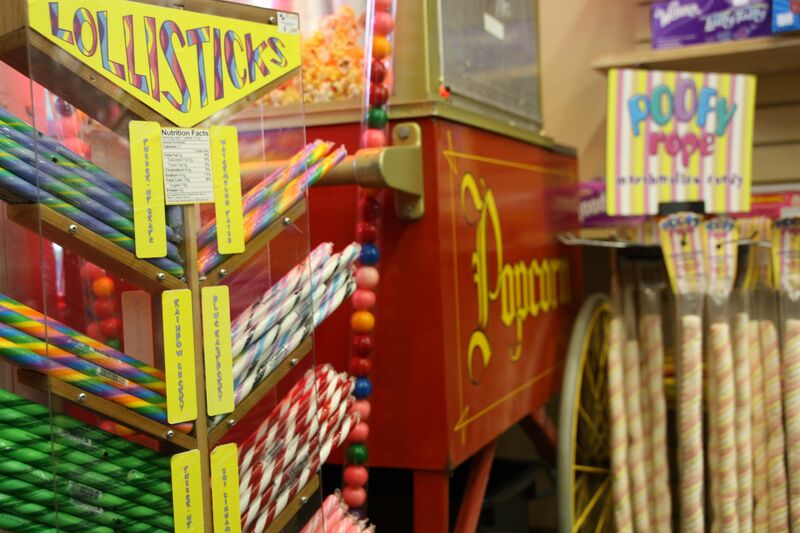 The shop also features Pucker Powder in a fun 12 flavour dispenser which allows kids to fill up to a 34″ tube with layers of delicious candy powder, and is the first in Manitoba to debut Whackies in five great flavours, again in a dispenser so kids can layer their favourite flavours. The Sandcastle also has cotton candy, popcorn in an old-fashioned box, fudge, peanut brittle, chocolate pizza and ice cream treats, as well as chips and sunflower seeds. To quench that summertime (or anytime) thirst, there is Coke in vintage glass bottles, premium French Vanilla Ice Capp, frozen lemonade, and last but not least, real slushies are back at Falcon Lake! 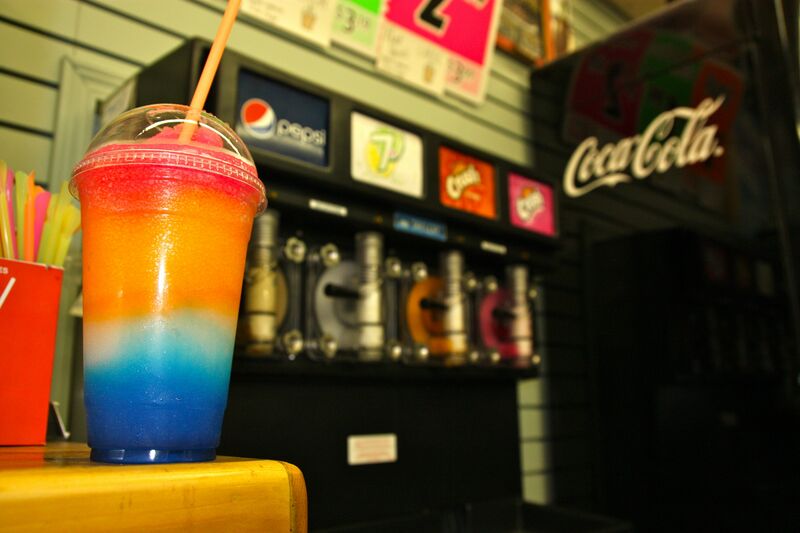 There is a real slushie machine with six different flavours to choose from, including favourites like Pepsi, Orange Crush, Cream Soda and more, so join in a Manitoba tradition as the world’s slushie capital and grab a slushie at The Sandcastle. What could be more fun for kids than toys and candy? 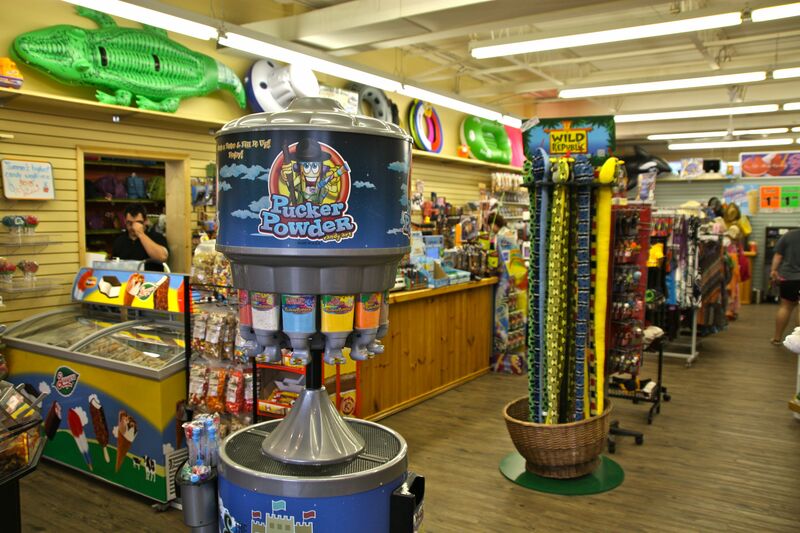 There are many different toys available at The Sandcastle Shop to keep the kids, or even the whole family entertained, rain or shine, including beach toys, rock collections, floatie toys, board games, plush, including Ty Beanie Boos, Lego and more. New toys arrive throughout the summer so check in often for the latest arrivals. 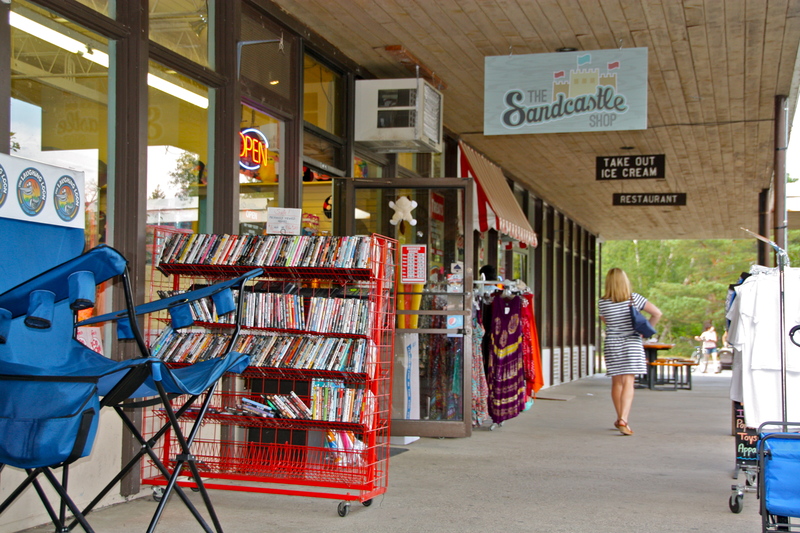 If it is clothing you’re looking for, The Sandcastle carries kids’ Falcon Lake clothing, as well as kids’ and adults’ swimwear, ladies beach clothing, summer sundresses and flip-flops and water shoes for the whole family. Add to your new look with a new summer hat or fun beach bag. The Sandcastle Shop is still open for business until October 12th of the Thanksgiving weekend, and has lots of great ideas for your holiday shopping. 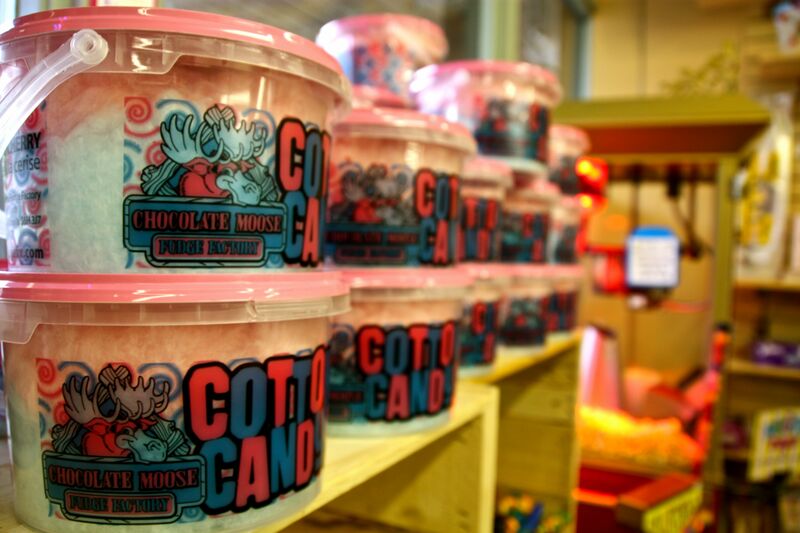 This year, the shop will also be open for the local trick-or-treaters on Halloween night — Be sure to stop by! The owners would like to thank everyone for their support during the debut season for The Sandcastle Shop. It is quickly becoming a favourite destination for visitors to the Whiteshell area, and a popular pit-stop for families on their way to Lake of the Woods. Keep your eye out for lots of new and exciting things to come in 2015! For more information on the Sandcastle Shop, visit thesandcastleshop.com, or “like” them on Facebook for updates on new products, specials, hours and more. This entry was tagged Falcon Lake, Laughing Loon, The Sandcastle Shop, whiteshell provincial park. Bookmark the permalink.